Africa Check ~ Kate Wilkinson – Does the ANC have a ‘good story to tell’? The African National Congress has been in power in South Africa for twenty years. In the run-up to the 7 May election, it says it has a “good story to tell” about its performance over that period. This is the first of two reports evaluating key claims. Researched by Kate Wilkinson for AFRICA CHECK. The claim is incorrect and the comparison is flawed. In 1994, the Housing White Paper estimated that there was an urban housing backlog of 1.5-million houses, not 1.2-million. Two years later, in 1996, the national census revealed that 1,400,000 shacks or informal dwellings remained in the country. This represented 16% of the nearly 9-million households in South Africa at the time. 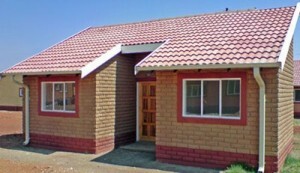 The 2011 national census found that the number of informal dwellings or shacks had increased to just over 1.9-million. This represented 13% of all households in South Africa; a decrease of 3 perecentage points since 1996.